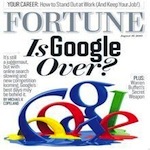 Empire Media > Internet Marketing > SEO > Do Search Engine Rankings Matter? Having a website used to be all it took to advance one’s marketing efforts. Establishing a solid web presence meant having a place where customers or clients could visit. Unfortunately, those days are long gone. Thousands of new sites are created everyday, but the vast majority of them are never seen. Save for the owner and a small circle of people around them, the traffic from organic search is absent. What does this mean? In simple terms, it means ranking high in search engine listings is imperative for marketing survival. The statistics don’t lie, and it’s about time we started listening. The term is tossed around nowadays as if everyone is expected to know its meaning. This is a good point though, because if you don’t know what search engine optimization is, then your website likely belongs to the mass of unknowns. 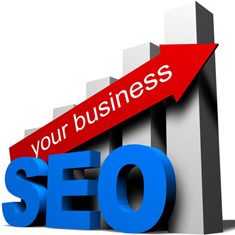 SEO refers to the means in which a site is optimized for search engine rankings. There are a variety of ways in which this occurs, such as creating on-page and off-page optimized content, as well as link-building efforts. A quality SEO plan will incorporate many elements dedicated to launching a site upwards in page ranks, and the ultimate goal is to secure the coveted 1st spot for all of ones keywords. 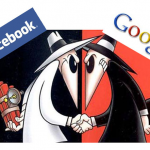 This requires diligence and constant maintenance, however, as search engines like Google are always changing their algorithms to influence search results. To shed some light on the importance of ranking high, it is imperative that we take a look at what search looks like. After an extensive study, Compete.com pulled some valuable data. It was found that 85% of searches are organic, or consumer driven. 53% of organic searchers selected the 1st link. As might be expected, the 2nd through 5th ranked listings received a sharp decrease in click through rates (Search Engine Watch). After this, the amount of traffic was very minimal. This is extremely important, because it demonstrates how valuable position is. The psychological effect of top-down listings makes people want to choose higher ranked pages. It could very well be the fact that the link at the bottom of the 1st page has what a consumer or searcher is looking for, but it will never be discovered due to poor SEO efforts. Regardless if a listing is advertised or organically optimized, it will stand a far greater chance of being selected than its lower ranked competitors.